Powerful and incredibly accurate with Bluetooth Smart connectivity. Calculation functions to add/subtract measurements, calculate area, volume and take indirect measurements using Pythagoras. A multi-function end piece allows measurements to be taken from corners, groves or edges and automatically changes the reference for accuracy. Continuous distance measurement - including min & max tracking. + & - Calculation. Stake-out function. Memory (last 10 measurement recall). Timer. Protection:	IP54 dust and splash water protected. 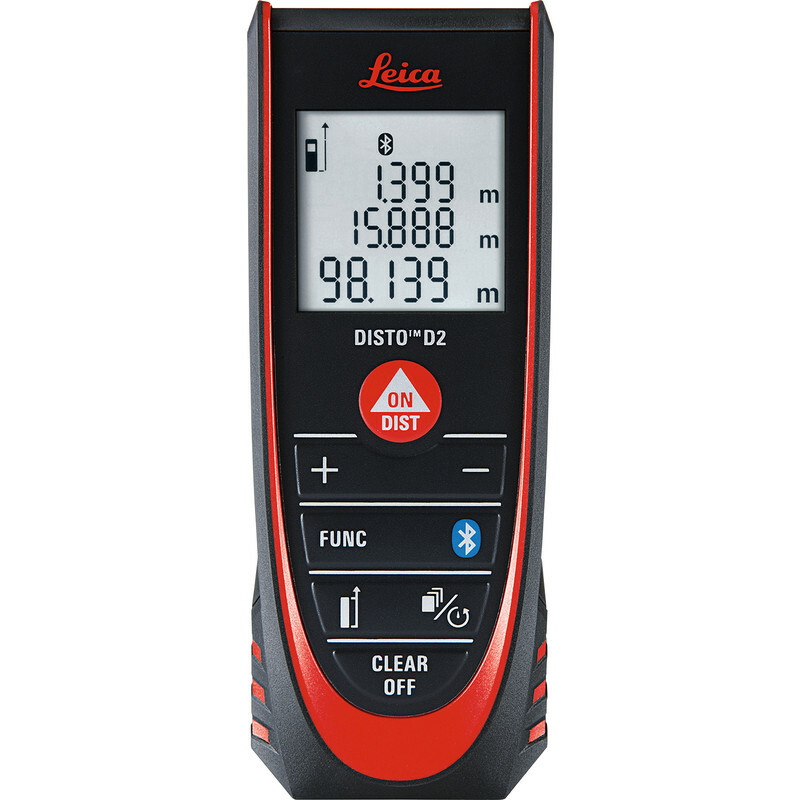 Leica Disto D2 Laser Distance Measurer 100m Range is rated 5.0 out of 5 by 1. Rated 5 out of 5 by Robert C from Great features! I am delighted with this product. The software is brilliant the days of pencil and paper are gon..